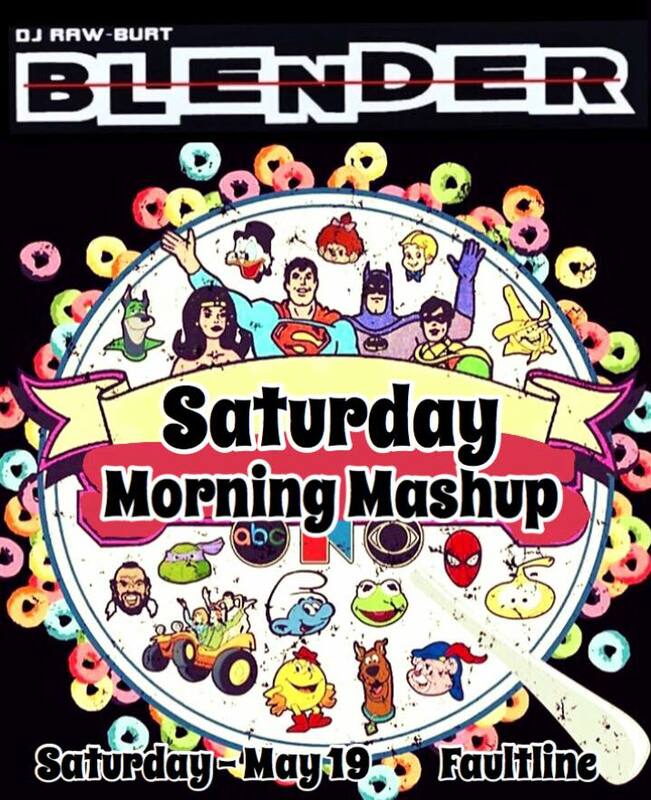 DJ RawBurt mashing up your favorite songs & mashing up your favorite Classic Saturday Morning Cartoons you grew up with! Hear your favorite songs like Never Before! See your favorite cartoons like Never Before! HeMan, Bugs Bunny, Voltron, Papa Smurf, Popeye, Rainbow Brite, Betty Boop, FrankenBerry, Xmen, PeeWee Herman, Scooby Doo & ALL Your Faves!